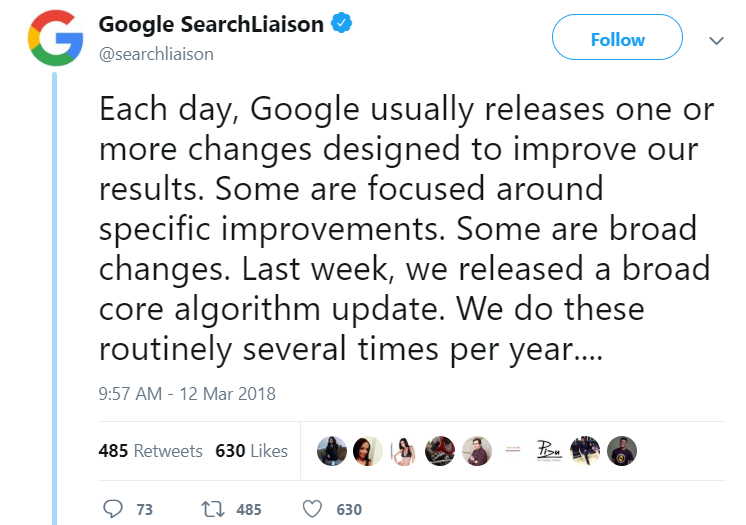 Google confirmed the existence of a significant update in progress for the ranking algorithm in a Twitter post. According to the news, the update is the „broad” type, not a specifical one, and has the role in upgrading the quality of results generally. The update is global, and it was launched at the same time. The update has started on the 12ᵗʰ of March and had significant growth on the 13ᵗʰ of March. The high volatility also continued on the 14ᵗʰ of March. At the moment it is too early to say if it will keep. In the official communication regarding the update, it was mentioned that the algorithm update does not have a specific ranking factor considered. Therefore, there are no timely interventions that can be corrected by a negatively affected site. According to Google, there is nothing to “repair” the websites, but it is essential to provide the best content for users. It is also recommended to monitor website analytics to detect any anomaly that occurred after the update. The Rank Risk Index tracker shows the maximum volatility point reached on the 12ᵗʰ and 13ᵗʰ of March. 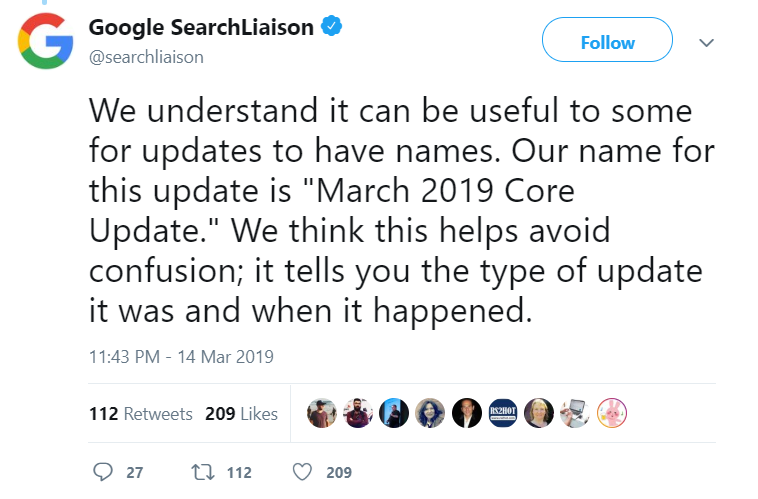 Google has tweeted the name associated with this update: „March 2019 Core Update”. 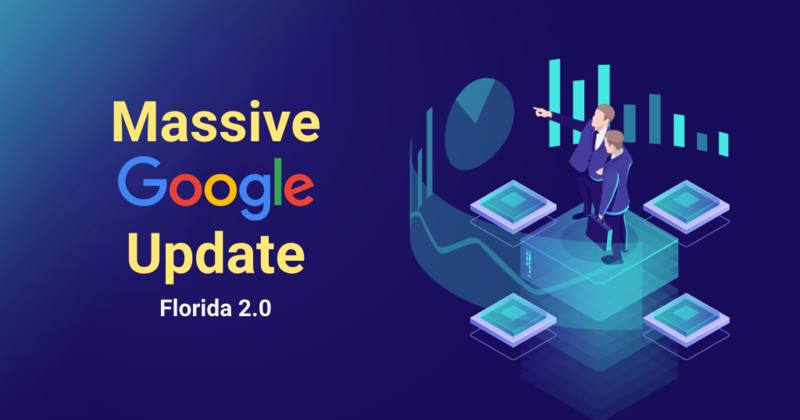 Google specifies that this update will increase the visibility of sites that did not enjoy this gain on previous updates, which means that this update improves the ranking algorithm. This article was written with the help of info from DWF.ro, The WebMaster.com and Performics.com.